In this guide, we will learn LinkedHashMap class implementation of Map interface using examples. The HashMap class doesn’t guarantee any specific iteration order of the elements. It doesn’t keep track of the order in which the elements are inserted and produces the elements in a random order every time you iterate over it. If you want a predictable iteration order of the elements in a Map, then you can use a LinkedHashMap. This guide covers all the important APIs that LinkedHashMap Class offers. 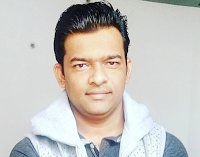 Iterate over a LinkedHashMap using Java 8 forEach and lambda expression. Iterate over a LinkedHashMap’s entrySet using Java 8 forEach and lambda expression. Iterate over a LinkedHashMap’s entrySet using iterator(). Iterate over a LinkedHashMap’s entrySet using iterator() and Java 8 forEachRemaining() method. 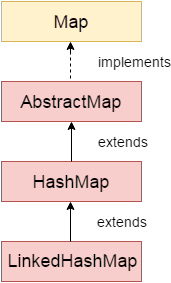 Java LinkedHashMap class is Hash table and Linked list implementation of the Map interface, with predictable iteration order. It inherits the HashMap class and implements the Map interface. A LinkedHashMap contains values based on the key. It is the same as HashMap instead maintains insertion order. Unlike HashMap, the iteration order of the elements in a LinkedHashMap is predictable. Just like HashMap, LinkedHashMap is not thread-safe. You must explicitly synchronize concurrent access to a LinkedHashMap in a multi-threaded environment. The following example shows how to create a LinkedHashMap and add new key-value pairs to it. Returns the number of key-value mappings in this map. If the map contains more than Integer.MAX_VALUE elements return Integer.MAX_VALUE. // Ex - Divorce "Jack" only if He is married to "Linda"
// initial capacity (16) and load factor (0.75).